This course focuses on public international law and international organizations with an emphasis on U.S. law and foreign policy issues in today's global system. This involves both domestic statutory and constitutional law as well as international law relating to the operation of the international system. This is with particular reference to current issues, such as terrorism, use of force, economic and trade sanctions, treaty negotiations, and cyber relations in this digital era. It will also discuss the Trump administration's actions and challenges they possess toward international law and foreign policy. The intent of this course is to give you an understanding of today's issues within the broad context, broad parameters, and the basic principles of relevant constitutional law, international law, international organizational structure, and U.S. foreign policy. The courses examines a broad range of legal topics. For example, it covers customary international law, treaty law, constitutional law aspects of international law, presidential powers concerning treaties and diplomacy, conflict between international law and state and federal law, executive agreements, regional and international courts (EU, OAS, ICJ), World Trade Organization’s dispute resolution system as well as that of other systems such as NAFTA, domestic courts and international law, Sovereign Immunity, Act of State Doctrine, Foreign State Compulsion, Alien Tort Statute, state responsibility to aliens, status of individuals in international law, international human rights, aspects of the law of the seas and international environmental law, law of war (use of force), rights of detainees, terrorism, torture, extraterritorial U.S. economic legislation (corruption, trade sanctions, embargoes and export controls). The course focuses on the role of U.S. courts in this entire process as well as that of the Congress, the President and states. In sum, this course intends to develop a firm understanding of the underlying legal and policy issues relating to the U.S. participation in the international legal and political systems, today. The required readings are listed on the 'Assignments' page. There is a midterm and a final essay that are required. The Midterm is in class (2/3 of your final grade) and Final Essay (1/3 of your final grade).The midterm is open book and computers are permitted for access to this website and course material. The essay is to be submitted electronically at the time the final is scheduled (the week after the final class). [Essay assignments relate to President Trump's actions concerning international law and foreign policy. Class participation is important. The essay treats a law and policy topic that concludes with a public policy proposal concerning the United States in its international legal and organizational relations. The essay should be 10 pages maximum. The class is intended to be highly interactive. Class participation may raise your final grade if you are on the borderline. Attendance is rquired. Text: Carter & Weiner, INTERNATIONAL LAW (Kluwer) (6th edition, 2011). Required Online: RESTATEMENT OF THE LAW – THE FOREIGN RELATIONS LAWS OF THE UNITED STATES (3rd) (1977-2015). Required Document Supplement: Carter, INTERNATIONAL LAW -- SELECTED DOCUMENTS (2013 - 2015). (Kluwer, 2015). 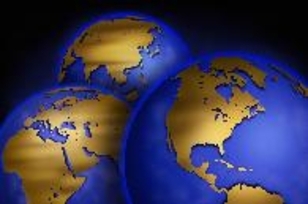 Informative Blogs: International Law Professor's Blog, ASIL Insights .